When people hear the word “dentistry” or “dental appointment”, they often think of fillings, cleanings, x-rays to find cavities, and similar activities, most of which concern the actual health of the mouth and preservation of the teeth. These are of course important activities and are a vital part of dentistry. However, there is another aspect to dentistry which can make a major improvement in your quality of life: Cosmetic Dentistry. The word “cosmetic” means “related to the improvement of appearance”. “Cosmetic dentistry” refers to any dental work done specifically for the purpose of improving the teeth’s appearance. While we are always interested in the health of your teeth, in cosmetic dentistry we are also concerned with improving their appearance, while maintaining or improving the health of your teeth as well. 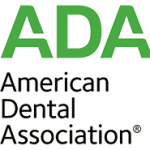 Chipped teeth, missing teeth, broken teeth, visible cavities, tooth discolorations and other visible teeth problems can make a person self-conscious and negatively affect their self-confidence and self-esteem. Through the techniques of modern cosmetic dentistry, teeth can be restored to a bright, even appearance through quick and surprisingly affordable treatments, resulting not only in a more beautiful smile and more attractive appearance, but also resulting in greater confidence in your appearance. It can also help to make a more positive first impression. And that can bring greater success in other parts of your life, from careers to relationships. Having a bright, attractive smile enhances one’s appearance and allows one to smile with confidence. At Minneapolis Dental our goal is not only to ensure your teeth remain healthy for life, but also to help you achieve the type of appearance you really want with your smile. And help you achieve more confidence in all areas of your life. 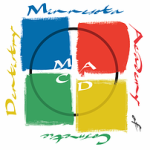 Call us at 612-332-1255, or visit us today to ask about the different cosmetic dentistry options available.